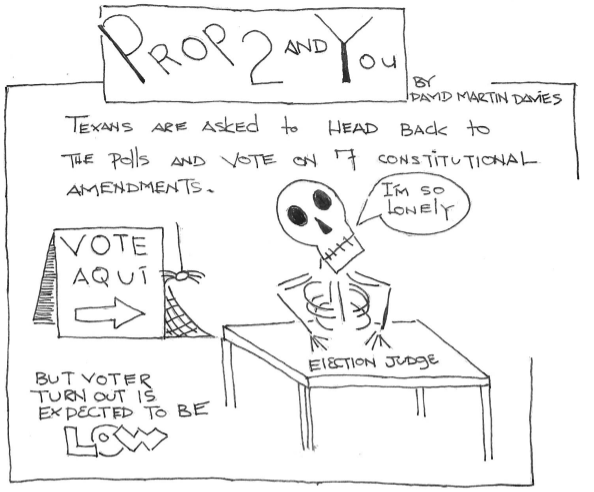 Texas voters are being asked to go to the polls and decide on seven constitutional amendments. These propositions vary from offering a property tax exemption (Prop 1) for partially-disabled veterans who received a donated home to allowing banks and credit unions (Prop 7) conduct host savings promotion raffles to promote savings by offering prizes. 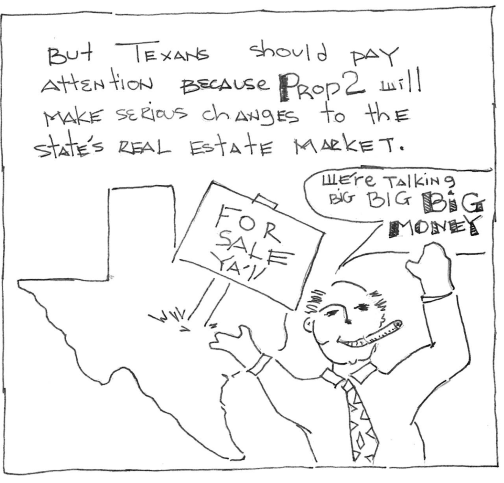 “Texas Matters” is zeroing in on Prop 2, which — in a nutshell — changes Texas home equity lending provisions. 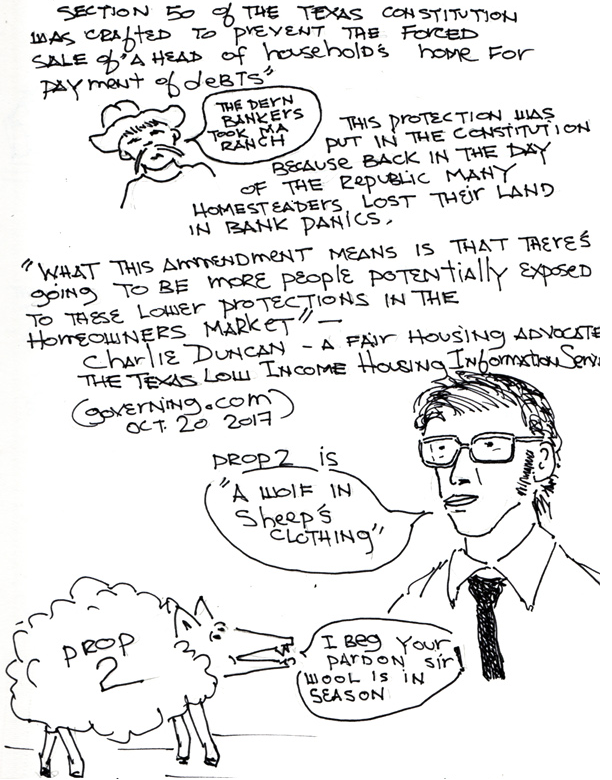 But that nutshell doesn’t do this complicated and economically significant proposal justice. This is a ballot measure that’s getting little attention in the media and inspiring low voter turnout. 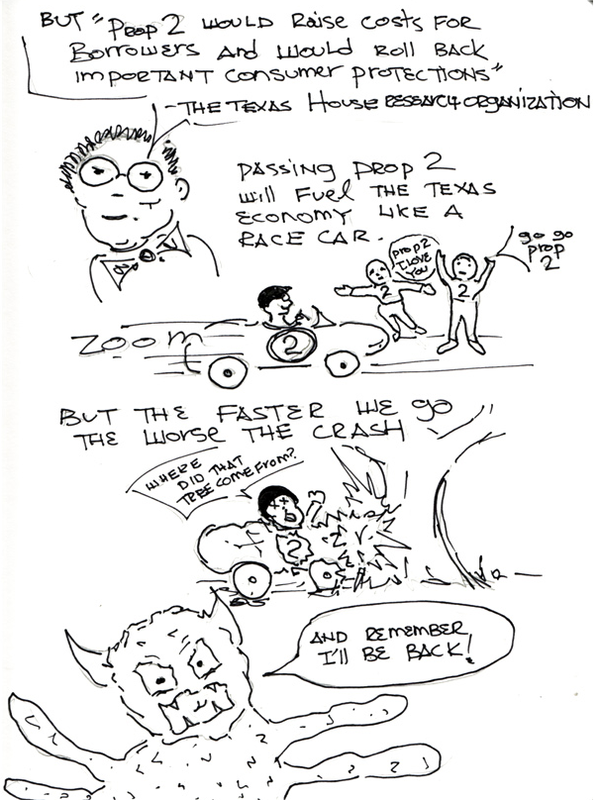 Nevertheless, Prop 2 could impact the lives of Texans in a big way. It will likely make borrowing money against your home more expensive. 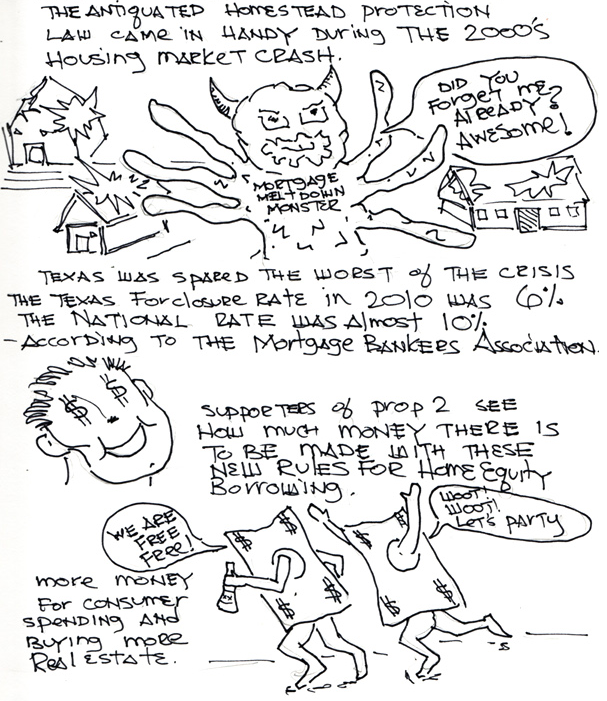 And it could make the Texas real estate market more vulnerable to a massive foreclosure crisis similar to the one that hit the nation a decade ago. He says if Prop 2 passes it means home equity borrowing in Texas will become be expensive for consumers. 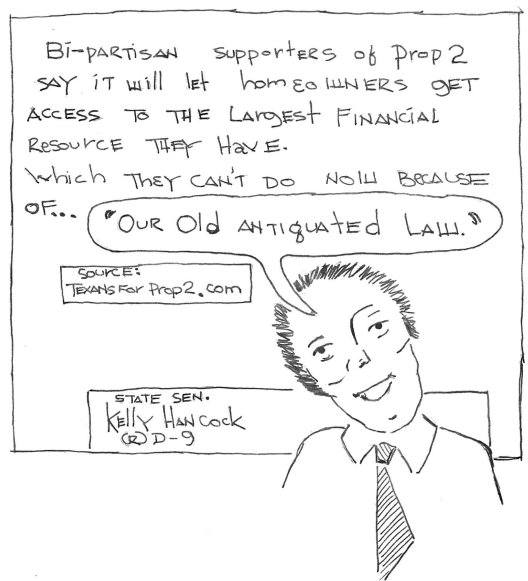 There is enthusiastic support for Prop 2 from the banking and real estate quarters of Texas. 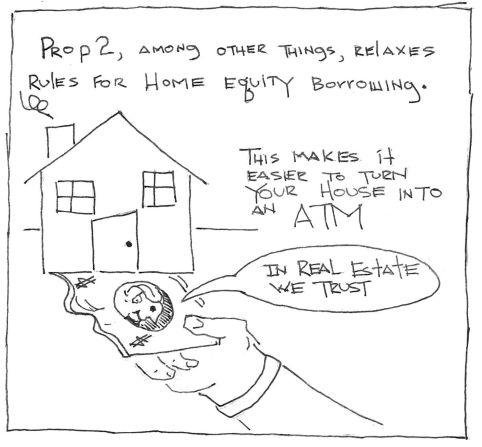 Local newspapers across the state have been peppered with letters and op-eds endorsing the move to relax home equity lending. Celeste Embry is the assistant general counsel for the Texas Bankers Association. She says it’s difficult to predict with absolute certainty that Prop 2 will make home equity lending more expensive for all homeowners but it will free up borrowing opportunities for more Texans.